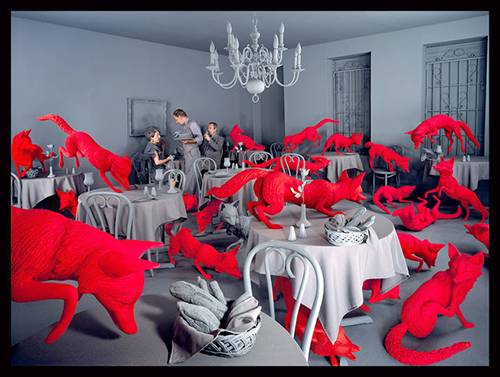 Sandy Skoglund is a conceptual artist and photographer based in New Jersey. She began creating life-size installations in the early 1970s. 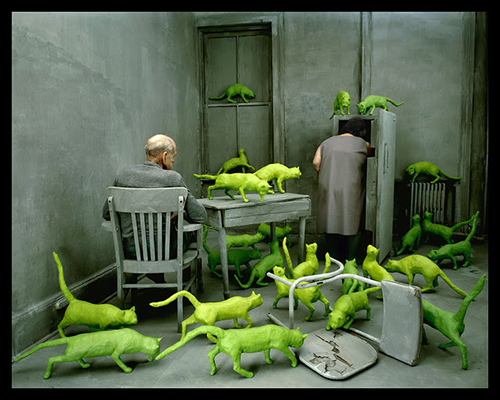 By the late 1970s, she became interested in photographically documenting her conceptual ideas. Germs are Everywhere © 1984. 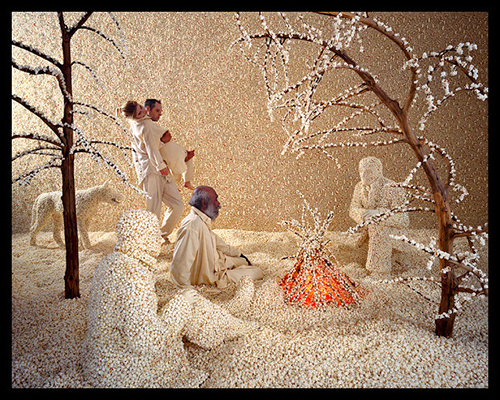 She works meticulously on large-scale installations, crafting every detail by hand with a team of assistants. 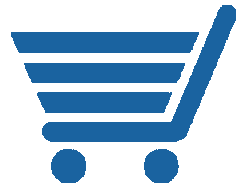 A single piece can often take several months to complete. 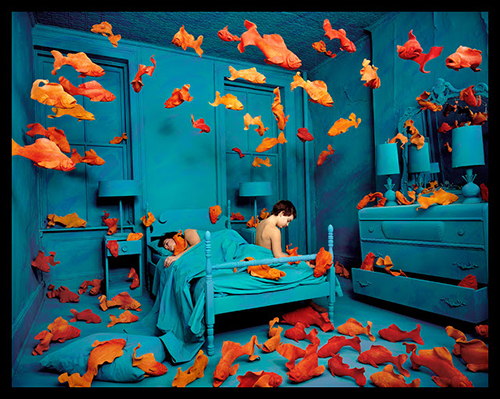 The resulting surrealistic scenes, dominated by strong color, are sometimes playful, sometimes haunting. 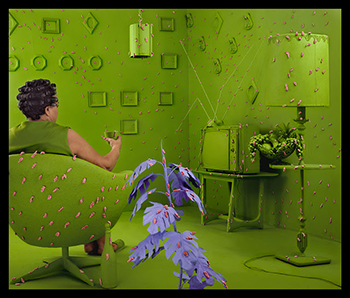 Art critic Marge Goldwater states Skoglund can “transform the mundane into the mysterious." 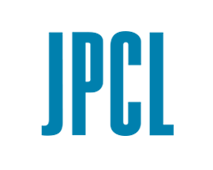 “Skoglund juxtaposes unlikely images to create tension and the impression of a world gone seriously wrong,” notes an article on Artask.com. Most of her pieces feature an altered landscape or artificial environment where nature and human culture are twisted or exaggerated. They seem designed specifically to make the viewer uncomfortable. 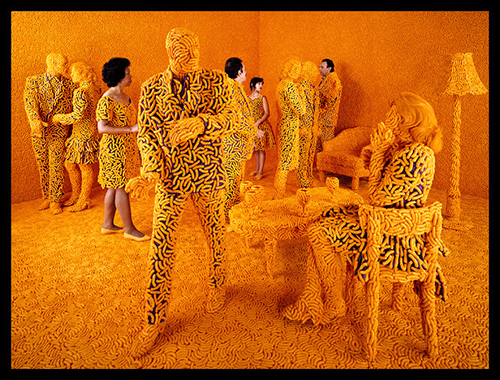 In Cocktail Party, the artist used a method she calls “color flooding.” The scene is made up of bright orange cheese doodles, producing an almost neon effect merely through repetition. “Some color is naturally unnatural,” she points out. Whether she is evoking danger, disaster or uncertainty, Skoglund relies on color to surprise, unsettle and trigger emotion.